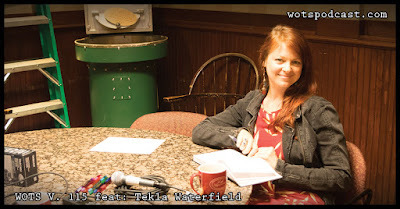 Today on the podcast we are at Caffe Appassionato talking to Tekla Waterfield. Tekla told us about being raised in a hippy household in Alaska, her first exposure to music, moving to Sacramento and what brought her to Seattle. We also talked about her old band Boulevard Park, taking lessons on guitar her solo music and so much more. I hope you enjoy this conversation as much as I did.